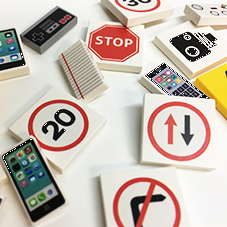 We are able to design & print directly onto brand new Lego pieces. We use state of the art technology to be able to create the perfect custom items for your Lego creations. Custom Printed LEGO Tech Pack, includes iPhone, iPad and much more!